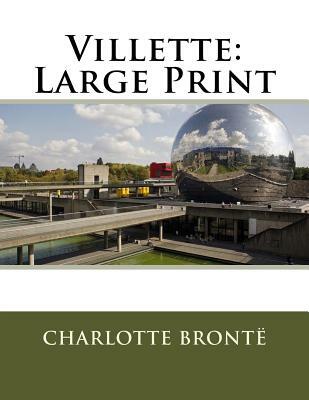 Villette: Large Print by Charlotte Bront Charlotte Bront 's final masterpiece powerfully portrays a woman struggling to reconcile love, jealousy, and a fierce desire for independence. Having fled a harrowing past in England, Lucy Snowe begins a new life teaching at a boarding school in the great capital of a foreign country. There, as she tries to achieve independence from both outer necessity and inward grief, she finds that her feelings for a worldly doctor and a dictatorial professor threaten her hard-won self-possession. Published in 1853, Charlotte Bronte's last novel was written in the wake of her grief at the death of her siblings. It has a dramatic force comparable to that of her other masterpiece, Jane Eyre, as well as a striking modernity of psychological insight and a revolutionary understanding of human loneliness.